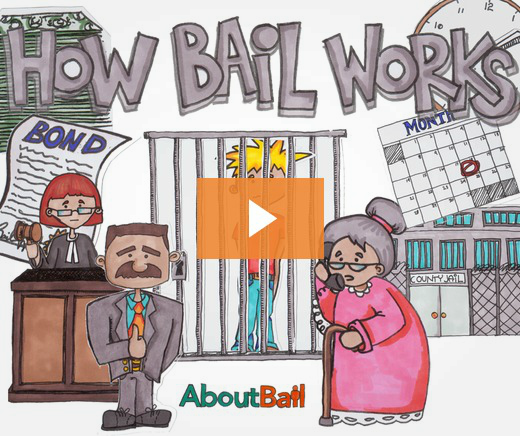 Don’t feel like you are the only one that doesn’t know about bail bonds. Many people don’t know what to expect or anything about the process until a loved one is arrested. Then, there are many questions that will go through the persons head about bail, the process, how to contact a bail bondsman, costs, etc. Use this resource to help you get familiar with bail bonds and how to navigate your way through the bail bonds process. What is the Bail Bonding Process? What Do I Need To Know Before I Contact a Bail Bondsman? Where is the person currently in custody? This means that when your loved one calls, find out the city, state, and the name of the jail they are being held at. Find out what their booking number is and make sure you know their full name. Find out the amount of the bail. If you can’t get this information the bail agent can contact the jail themselves and find out. How To Get a Bail Bond in North Carolina? Use real property (like a home or a lot) with the court. The judge may decide to let the defendant go on their own recognizance. Will I Get My Bail Bond Money Back? Generally, you will not get the premium back that you paid to the bail bondsman. Consider this the fee that the bail bondsman charges to front the money to get the defendant out of custody. The only way you would get this money back would be if the bail bondsman didn’t follow through with his or her end of the contract. Bonded Out of Jail and Want to Leave The State? Before leaving the state, you will need to get written permission from the bonding office. You will also want to check to make sure that you are not court ordered to stay in state, or you will also need to get approval from the court. If you leave the state without permission, you may be subject to arrest. Can I Use Collateral for a Bond? At Big Mike Bail Bonds, we offer some of the cheapest and fastest ways to get your loved one out of jail. As low as 3% percent down will be enough to get your loved one out of jail right away. This means our bail bonds are very affordable. In addition to providing fast and cheap bail bonds, we are also committed to providing you with quality service. Having a loved one in jail can be upsetting and confusing. Everyone who works at our bail bond company is experienced and well versed in the judicial system and can help you to understand the process. Our bail bonds company is also very discreet, so you never have to worry about your reputation when you deal with us.